The émeraude City. a portrait of the émeraude city. 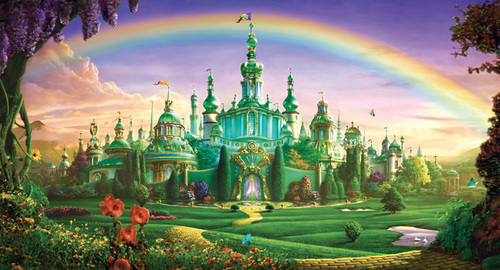 Wallpaper and background images in the Le Magicien d’Oz club tagged: emerald city image portrait fan art. This Le Magicien d’Oz fan art contains fontaine. I just love this! It's like a mix of fairy tale and Wizard of Oz! Gorgeous!